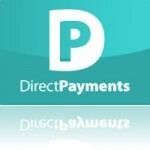 Payroll Scotland are proud to provide the Direct Payments payroll service to clients throughout Scotland. We have been helping recipients of Direct Payments for almost 10 years, and are proud to have done so in a cost-effective and highly efficient manner. Are you worried about changing your payroll provider? Don't be, as Payroll Scotland can make the process quick and simple. It really is a simple as that, and should only take a few days. You will have been provided with a list of our fixed fees for processing your direct payments payroll which will be guaranteed for the duration of the contract. These prices are what you will be charged per payslip, with a modest minimum period fee. We only charge you for every payslip we produce. If we make a mistake, then there is no charge for a reprint. Our charge for the year-end return is built into the payslip cost, so there are no additional charges for you to pay. We don't charge for starters, leavers or any other regular payroll events. With Payroll Scotland, what you see is what you get. What have you got to lose by asking us today for a free, no obligation, quote for your direct payments service. You can phone, or use our email contact form.